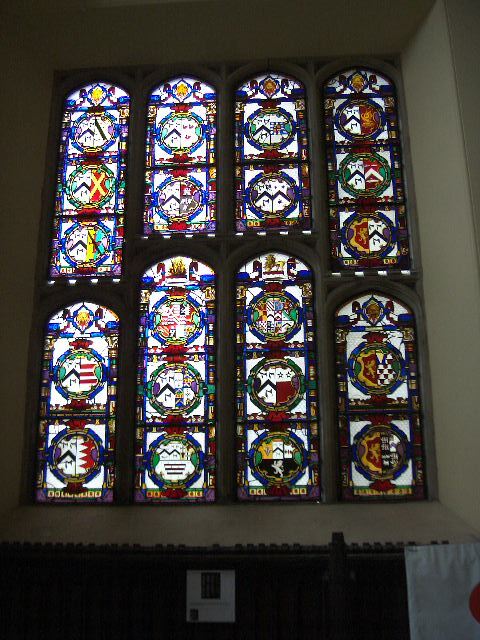 The entrance hall contained a large armorial window which , following a fire in the 1970’s, was taken out for safe-keeping. A study was done in the mid-1990’s to assess the feasability of restoring the window which had suffered fire damage, neglect and vandalism. However, it was not until 2001 that work got underway following a newly outlined plan by Alun Adams, past student of the college. He studied the window in his final year and put together a bid that secured funding to resore the glass and return it to the building. I got involved at this point having just finished a placement at the wonderful Holy Well Glass Conservation Studio in Wells, and agreed to do the work on a part -time basis. 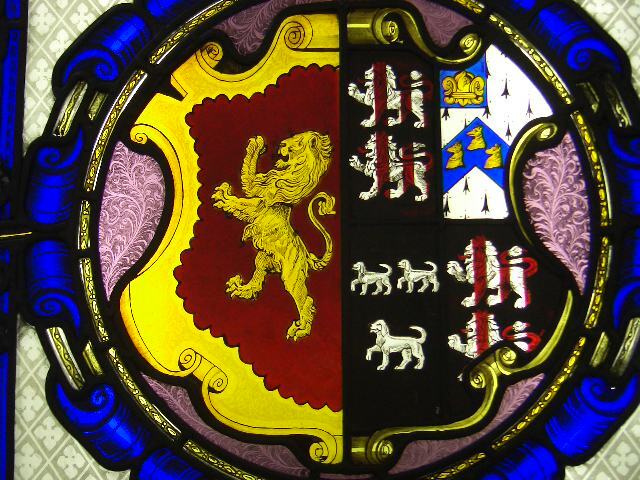 In my first few days I was presented with the range of panels, 16 in all, containing 20 family shields describing selected marriages and lineage of the Mansel-Talbot family in various states of dis-repair. The crowning moment came when I was presented with a carrier bag full of tiny fragments of the 1-2mm thick glass and wondered how on earth I was going to do this. A very large learning curve later and the window was re-installed in 2006.